Whether you are right-handed or left-handed, switch to the Smartfish Whirl Mini Laser Mouse and get rid of aches and pains associated with other computers mouse. It reduces stress on your hands and wrists by adapting naturally to your hand motion as opposed to the typical computer mouse which requires your hand and wrist to remain in a fixed position. 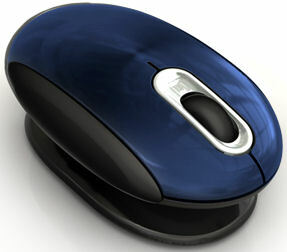 The mouse can be used with your Mac or PC and comes in six colors including carbon fiber, black, blue, silver, red, and white. GetSmartfish.com, $49.95.